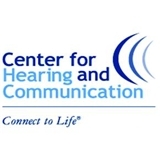 Center for Hearing and Communication (New York) - Book Appointment Online! The Center for Hearing and Communication is New York's leader in hearing healthcare with state-of-the-art services that meet all your hearing and communication needs. Our licensed audiologists are skilled in helping adults and children get the most out of their hearing through unsurpassed clinical expertise and technical know-how. We offer one of the most comprehensive hearing evaluations available and are experienced in determining just the right hearing instrument to best address your unique hearing and lifestyle. Pediatric services include evaluation and treatment of auditory and listening challenges such as auditory processing disorder. To initiate an APD evaluation please schedule an audiological evaluation with Dr. Jane Auriemmo. I thought Sara Adams was very professional, knowledgeable and personable who aimed to provide accurate diagnosis and information and to facilitate what was best option for me..I would highly recommend her . Great experience being seen by Dr. Auriemmo. Would highly recommend.